The HY-eVision² product family sets new standards with respect to maximum resolution, programmable with CODESYS 3.x, and user-friendliness. Indeed, the modular operator terminals are available in two versions. On one hand, a large 10.4-inch variant with touchscreen (HY-eVision² 10.4). On the other hand, a smaller 7-inch version (HY-eVision² 7.0) with or without a touchscreen. 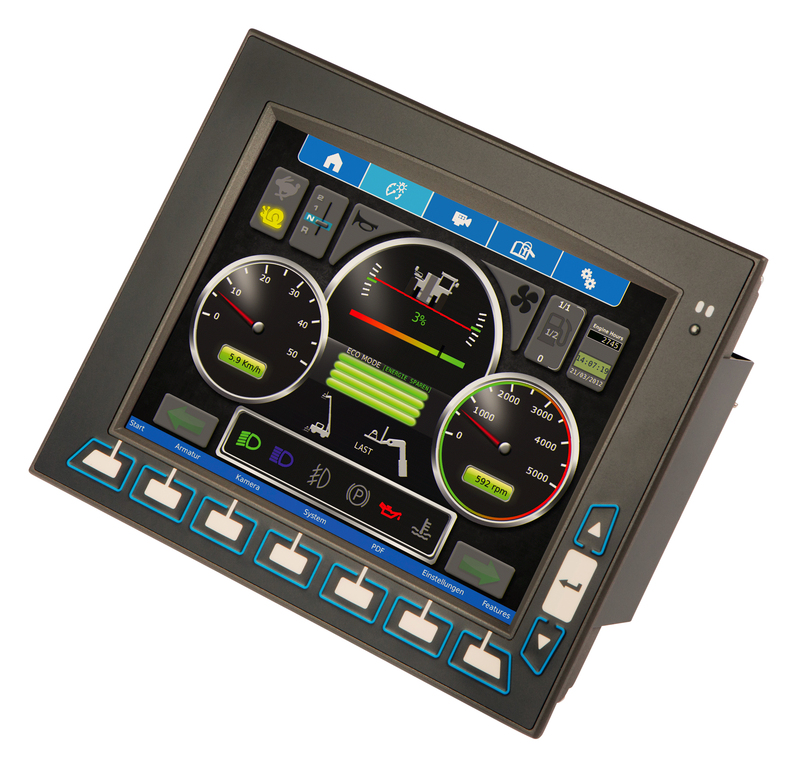 However, both rugged displays have a powerful built-in display controller and are suitable for harsh conditions in off-highway vehicles. What’s more, their design lead them to become the central operator interface in mobile equipment and offer optimized visualization of the various in-vehicle parameters. Object-oriented programming concepts allow fast and easy adoption of the HMI to different languages. It also allows specific additions to transparency effects, graphics library, and Unicode fonts.